The 2014 Open House, which will be held from 9 a.m. to 3 p.m. on March 29, will explore the One Health concept with special exhibits and discussions on the connection between wildlife, domestic animals, the environment, and people. 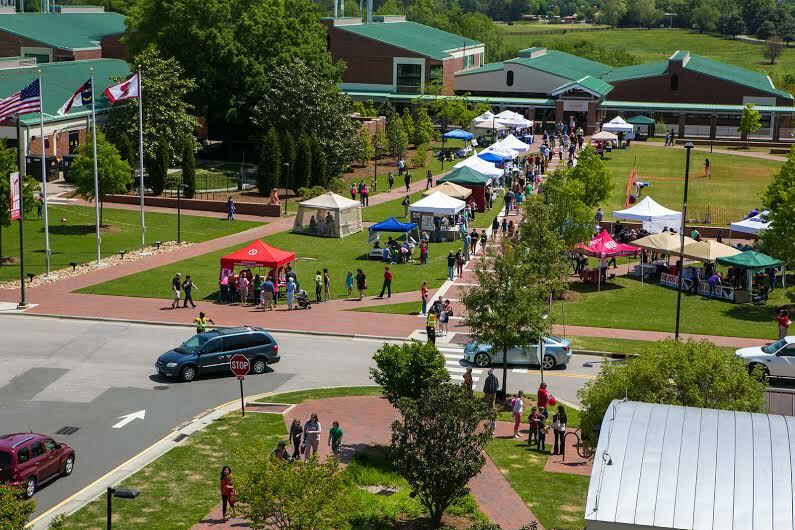 The popular annual event will offer the traditional opportunities to get up close with various animals large and small, demonstrations, special displays and exhibits, and chances to talk with faculty and students. Numerous fun and informative tour stops explain advances in veterinary medicine, veterinary medical technology, best care practices for the family pet, and what it takes to become a veterinarian. 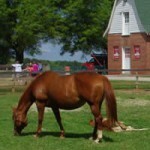 The Smithsonian Institution’s traveling exhibit Animal Connections will be available to tour during Open House 2014. Housed in a mini-museum inside an expandable 18-wheeler, the 1,000-square foot exhibit introduces visitors of all ages to the human-animal bond. 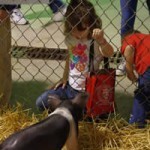 Whether you’re an aspiring veterinarian, an animal lover, or a health care professional, you and your family will find something to capture your interest in this exhibit. Take a video tour now. Open House Carnival for young children (child needs to be accompanied by a parent or guardian and there is a small fee to play games). Terry Center. The Open House is an opportunity to tour portions of the 110,000-square-foot Randall B. Terry, Jr. Companion Animal Veterinary Medical Center, one of the most advanced veterinary hospitals in the nation. (See video). Veterinary Health and Wellness Center. Exhibits including Nutrition, Rehabilitation and Mobility Service, Behavior Medicine, Small Animal Blood Bank, and Exotic Animal Medicine. CVM Research Building. Also new for the Open House 2014 is an opportunity to learn about significant CVM investigations. Research faculty, graduate students, and lab personnel will staff exhibits about regenerative medicine and stem cells, infectious diseases and clinical studies, and clinical genomics and neurobiology. 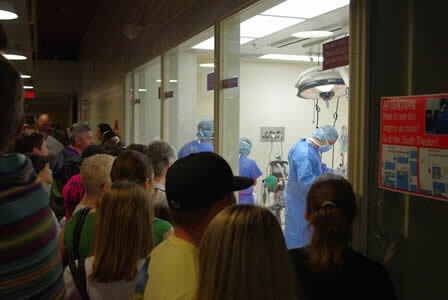 The Open House flows over to external attractions including the CVM Mobile Surgery Unit–a veterinary clinic on wheels; canine demonstrations; booths staffed by representatives of breed and shelter rescue groups; Mare and foal in the Teaching Animal Unit corral, equine and large animal demonstrations, and the Open House Carnival organized by DVM students. (Inclement weather may change outdoor activities). Note: There is no charge for the Open House or for parking on the Centennial Biomedical Campus. 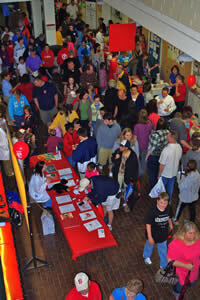 Food and refreshments are available for purchase and there is a charge for activities in the Carnival area. Questions? Call 919.513.6662. 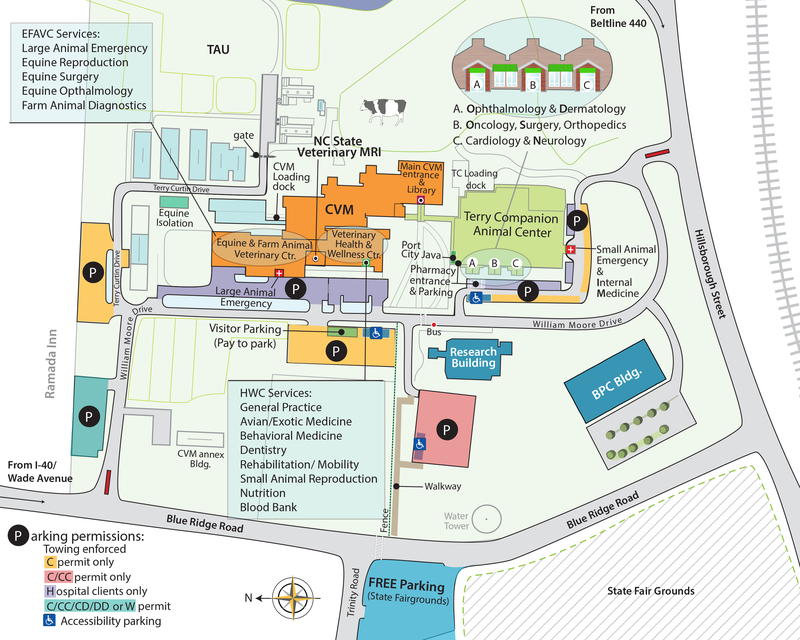 The College of Veterinary Medicine is located at 1060 William Moore Drive near the intersection of Hillsborough Street and Blue Ridge Road in Raleigh. Please do not bring your pets to Open House. Please do not attend if you have traveled overseas after March 8. Remember to wash your hands after touching the animals (especially before eating).